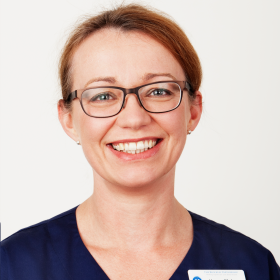 There are currently seven dentists at the Blockley Partnership and they are ably supported by a team of three hygienists and our hygienist/dental therapist. Our team also includes seven dental nurses, four receptionists and a dental technician, all of whom are overseen by our practice management team. Ian Cooter trained at Guy’s Hospital and qualified in 1986. He joined the practice in 1987. His special interest is prosthetic dentistry (dentures) and after qualification he worked in the prosthetic department at Guy’s learning more advanced techniques. He continues to undertake numerous postgraduate courses and can offer the latest in other aspects of restorative dentistry. Ian was responsible for the practice attaining the Investors in People Award. Robert Kirwan trained at University College Hospital London and qualified in 1988. He undertook further training to gain an MSc in Conservative Dentistry at Guy’s Hospital where he subsequently held a post teaching undergraduate students. He joined the practice in 1996. 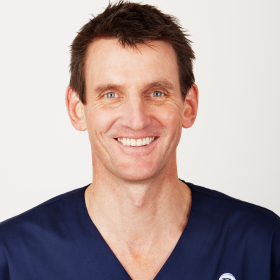 His special areas of interest are cosmetic dentistry, crown and bridgework and dental implants. Rakesh Saksena trained at Kings College London and qualified in 1992. He undertook further training to gain an MSc in Conservative Dentistry at Guy’s Hospital where he is now a part time clinical demonstrator for undergraduate students. 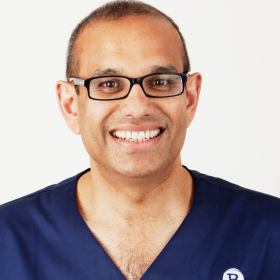 His areas of interest are cosmetic dentistry and root canal therapy (endodontics) and he provides a busy referral service for local dentists to send their complex endodontic cases. He joined the practice in 2000. Mayur Patel trained at Kings College London and qualified in 2006. He subsequently passed the examinations for membership of the Royal College of Surgeons England. 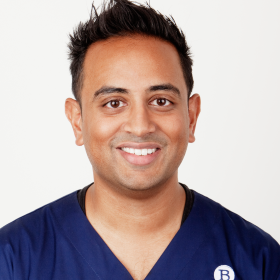 Mayur has a special interest in minimally invasive cosmetic dentistry. To expand his horizons he has recently attended courses in the USA and Italy. Mayur joined the practice in 2013. 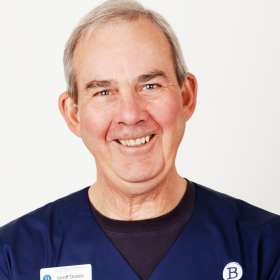 Geoff Daddy trained at Bristol Dental Hospital and joined the practice in 1969. He has a special interest in root canal therapy (endodontics). 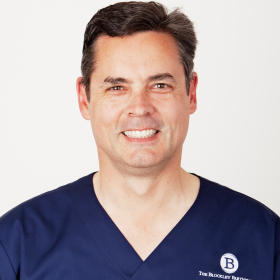 His sympathetic approach has helped patients who have a deep seated anxiety to dentistry. Karen Blake trained at Kings College London and qualified in 2006. She subsequently passed the examinations for membership of the Joint Dental Faculties of the Royal College of Surgeons. She is actively engaged in post graduate education and is now enrolled on an MClinDent Prosthetic (crowns, bridges, dentures and implants) programme. Her areas of interest are the management of dental anxiety and minor oral surgery. She joined the practice in 2009. Dimitra Tsarouchi trained at Kings College London and qualified in 2006. She subsequently was awarded her membership of the Royal College of Surgeons of Edinburgh. 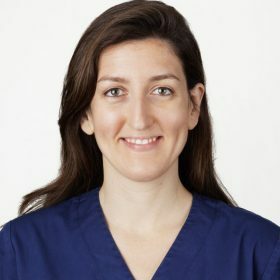 In 2015 she completed her specialist Periodontics training at the Eastman Dental Institute, UCL and obtained her Membership in Restorative Dentistry at the Royal College of Surgeons of England and was accredited a Certificate in Periodontology from the European Federation of Periodontology. Dimitra is registered on the GDC Specialist List for Periodontics. She joined the practice in 2016. Sally Bowler trained at The London Hospital Medical College and qualified in 1983. 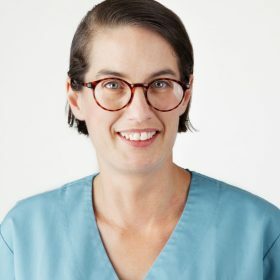 She is very experienced in most aspects of dentistry and previously owned her own practice in Wadhurst for many years. She also offers Facial Aesthetic treatments (Anti-ageing injections, Dermal Fillers, Chemical Skin Peels and Dermaroller). 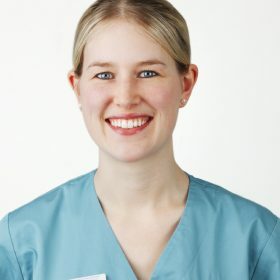 She joined the practice in 2018. 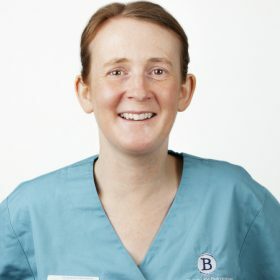 There are currently four hygienists at the Blockley Partnership, one of whom is also a dental therapist which allows her to provide other aspects of restorative dental treatment. This ensures that there is at least one hygienist here every day. Chloe Beasley trained at the Eastman Dental Hospital in London and qualified as a hygienist in June 2015. 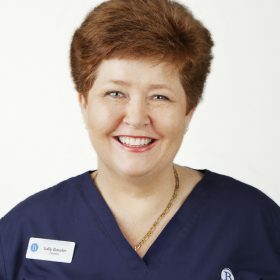 She has worked within the dental profession since 2007 and is passionate about her role as a dental hygienist. Her caring and friendly approach puts even nervous patients at ease. Chloe attends regular courses to keep up to date with the latest products and treatments available. 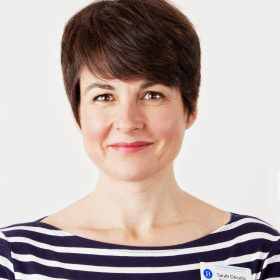 Lisa Taylor trained at St Bartholomews and Royal London Queen Mary University and qualified as a Dental Therapist and Hygienist in 2004. She works in general practice as well as Community Dental Service as a special care Dental Therapist. Honoria Montague trained as a Dental Therapist and Hygienist at Kings College and qualified in 2014. Since then she has worked in general practice providing a wide range of preventative and restorative treatments. Honoria is particularly interested in special care and pediatric dentistry and is hoping to complete further studies in these areas. The practice has a Practice Manager who is well supported by several office staff ensuring the efficient day-to-day running of the business. We also have a very experienced team of receptionists. Sarah Decelis joined the practice in 2005 after previously working in advertising for a large retail company. Sarah is responsible for patient liaison, managing the practice staff, and together with Becky Guy covers the financial and administration and secretarial work within the practice.